Children cherish fair play and long for better relations • BTC d.d. 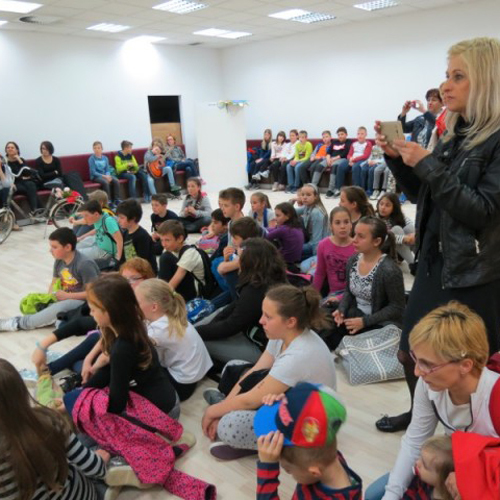 More than 2,800 children from 70 Slovenian kindergartens and primary schools took part in the contest with pictures, paintings, stories, and photographs. They showed how they perceive friendship, what it means to them, what they expect from their friends, and where they set their boundaries. The jury chose the three most creative works in two separate categories, one for kindergartens and another for primary schools, and their authors received lovely awards. The rankings are as follows. 3. Kindergarten Manko Golar Gornja Radgona (mentor Dana Štrucelj). 3: Primary School Apače – Stogovci, Class 1.-6. (mentor Simona Roškar). The Fair Play winner for the north-western region is the Logic Club of Primary School Dobje, supervised by mentors Marija Blažič and Tina Globočnik. The award was given to the group, because they emphasised the positive aspects of every individual in an original manner. All children who took part in the contest received special recognition for their participation, while their works have been publically exhibited, and will also be published in the official e-book of the “Encouraging friendship” contest. The e-book, which will contain all the works entered in the contest, will be available at www.misijazeleno.si after the closing of the contest and the winner announcement in Ljubljana on May 20th, 2016.